The state of Karnataka's GIS program is a successful model for National GIS. India has long been a leader in using modern spatial technologies and started its tryst with satellite images and GIS in the 1980s by having its own Indian Remote Sensing satellites and image-based mapping and creating GIS databases and applications. In the early 2000s, it took steps toward designing a National Spatial Data Infrastructure. With a large talent pool and many veterans providing the vision, leadership, and drive, now a national movement has taken shape in India's next-generation GIS program—National GIS. Moving away from looking at GIS as just a mapping or database tool or as scientific software, India recognized that the true power of GIS can be realized only when it reaches the hands of the governed—those who can demand efficiency of governance/development and transparency in democratic action. India is a vast country, with a population of more than 1.2 billion people spread over 3.29 million square kilometers. The country is composed of more than 600,000 villages and 7,000 cities and features a varied geography with a rapidly changing and complex social and economic character. As a democracy, India is constantly dealing with ways and means to comprehend social and economic challenges and bring a good quality of life to all its citizenry—aiming to bridge the wide disparity in economic and social character. It is in this democratic character that India visualizes National GIS as important—to easily map, note changes to, and understand the complex interplay of social order and economic growth. India has visualized that GIS is not just essential but is now an urgent necessity—so as to empower its citizens and bring an inclusive economic growth and prosperity to its people. It hopes to reap demographic dividends, expedite development, and reduce disparity—thereby bringing more equity among its people. To many, developing a national GIS would seem to be an insurmountable task. How would a single, comprehensive system ever be expected to serve the varied and separate needs of so widely contrasting elements? To others who know the challenges of GIS data availability in India, it would sound almost impossible to visualize a seamless national GIS that covers the whole nation. But a blueprint has been developed, and there is now a clear agenda that has been set for establishing and making operational National GIS—becoming one key element of a new innovative information foundation that will empower governance, enterprises, and citizens across the country. 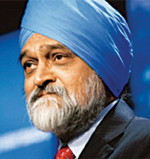 "India is at the cusp of another technological and development curve, and in its drive for inclusive growth, social equity, and development, a major requirement would be to reengineer many systems and processes. Information will be the fourth pillar of democracy, and GIS will be that important element of the fourth pillar—helping in the concept of unified information infrastructures. National GIS is envisaged not just to provide GIS data and GIS applications but serve as a platform for a host of e-services to every citizen—be they in urban or rural areas—and thereby leading India into inclusive growth and prosperity, expediting development, reducing disparity, and bringing rich demographic dividends." 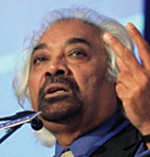 Sam Pitroda, adviser to India's Prime Minister for Public Information Infrastructure and Innovation, highlights India's efforts to solve its challenges with geospatial technology. The vision of National GIS for India has now been widely debated, discussed, and endorsed in a series of national-level meetings involving users, stakeholders, technical experts, policy makers, and the government. The National GIS vision document can be accessed at moes.gov.in/national_gis.pdf. 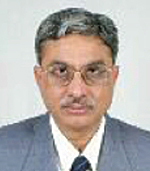 The National GIS has now been incorporated into the Government of India Planning Commission's Twelfth Five Year Plan 2012–17 as a new initiative for the future (Vol. I, page 248). 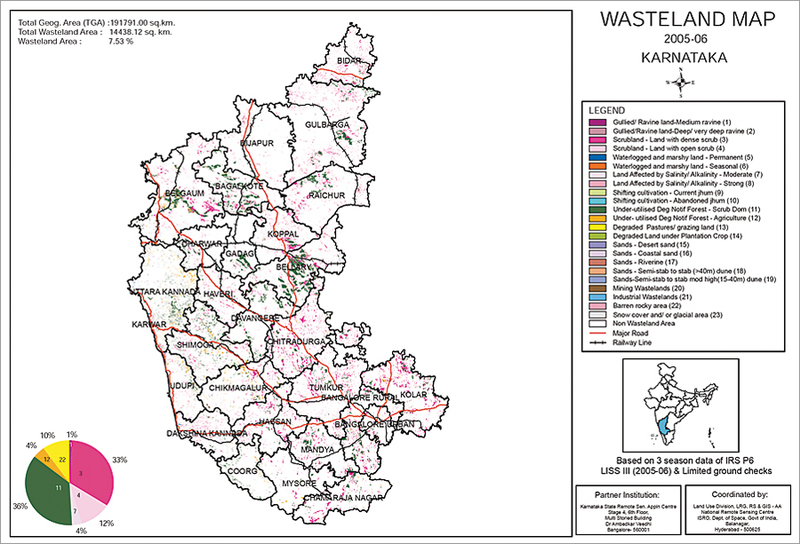 Wasteland map of the state of Karnataka based on three seasons of data, 2005–2006. Source: Director, Karnataka State Remote Sensing Centre (KSRSAC, Bangalore). How can the nation ensure that its decision-making/governance process is supported by a comprehensive, easy-to-use GIS decision support system that brings scientific, participatory, and quality dimensions into decision, planning, and development? How can the nation ensure that GIS-ready data is always easily available and maintained/updated by adding that critical capability differentiator over the images and maps that have already been invested in? How can India maintain a high level of national capability in this important technology area and leverage itself to be in the forefront of GIS technology in the international arena? India has also recognized that there are some gaps in the widespread adoption of GIS in the country, and these need to be addressed as part of the process of building National GIS. GIS is technology-centric but needs to be decision-centric. This means that all types of decision makers—governments, enterprises, and citizens—should have the ability to easily make use of readily available GIS data and applications that can help solve their problems. GIS needs to become so easy to use and so deeply embedded in workflows and processes that it becomes integral to modern governance and nation building. In addition, there is as yet no widespread availability of GIS-ready data for the whole country, and no agency in India has overall responsibility for this activity. These shortcomings have been identified as critical and need to be addressed before GIS can become pervasive at both the state and national levels. "There are three important issues related to GIS. First, how can we ensure that our decision/governance system is supported by a comprehensive, easy-to-use GIS decision support system—whatever the decision maker wants must be supported by GIS? Second, how can any user be rid of the hassles of GIS data organization that he now faces—ensuring that GIS-ready data is readily available? Third, how can we have an institutional system in the country that is responsible for GIS and is accountable to meet the GIS needs of the country?" India has recognized that a strong organizational framework is essential for bringing focus and for institutionalizing National GIS and promoting geospatial technology use by government, enterprises, and citizens. To ensure success, it considers having an agency be made responsible for overseeing the vision of National GIS important. The Indian National GIS Organization (INGO) would have the primary mandate for the establishment, maintenance, and operation of National GIS. It would be responsible for guiding and shaping disparate components relating to infrastructure, technology, and services into a cohesive system. The Karnataka state police department has undertaken a pilot project for crime analytics and real-time monitoring. Source: Director, Karnataka State Remote Sensing Centre (KSRSAC, Bangalore). In addition, a robust management structure has already been put in place to bring high-level focus and alignment across multiple ministries and all states and territories and to provide a flexible operational mechanism for implementation of National GIS. The Department of Science and Technology (DST) has been assigned the responsibility of implementing National GIS, and Dr. T. Ramasami, secretary, DST, is driving all the actions for the implementation. 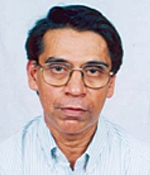 A National GIS Advisory Board has been established, with Dr. K. Kasturirangan as its chair, to provide overall policy direction and advice on implementation of the National GIS vision. A high-level National GIS executive committee has also been established to facilitate National GIS implementation, ensure INGO establishment, and help position across the entire country the concept of e-governance; e-governing is governing that takes advantage of the convergence of the newest geoinformation and communication technologies, such as improved spatial data management, GIS, GPS, remote sensing, satellite and mobile communications, and the web. A mission-mode implementation of National GIS is being taken up under DST, and soon, a mission director will be positioned to be responsible for implementing National GIS. India also recognizes that a strong policy foundation is essential for National GIS and also for furthering a good GIS ecosystem in the country. An independent study on GI policy perspectives has been undertaken by the National Institute of Advanced Studies, Bangalore, for the Government of India. The study has brought out a comprehensive report that outlines the framework of India's GI policy document. Civil Aviation Requirement, detailing procedures for issuance of flight clearances for agencies undertaking aerial photography, geophysical surveys, cloud seeding, etc. Establish National GIS in the next three to five years. Institute g-governance models in Indian society. "National GIS can serve multiple needs—government, enterprises, and citizens—and must power more open government and thereby leverage economic and social development and reach the gains of development to the most needy and at the right place. National GIS must also aim to bring accountability and responsibility of public activities where decision making can be centered around GIS—thus factoring location and time-domain map information." In India, individual states are the main delivery mechanisms of development and social programs, so it became clear very early in the visioning process for National GIS that success would be dependent on acceptance and buy-in at the state level. Various state GIS initiatives have brought good operational examples of statewide applications to the national forefront. Some very good statewide GIS examples that have been established are in states like Gujarat and Karnataka. 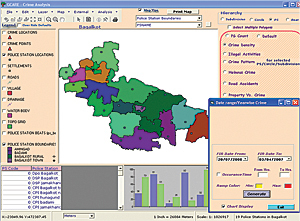 Gujarat has developed comprehensive statewide GIS data and has operationalized GIS services to grassroots level in a unique way. Karnataka has multilayered statewide GIS data and a wide range of GIS applications. In other states like Andhra Pradesh, Maharashtra, Rajasthan, and Haryana, GIS usage has been good. Many other states also use GIS for specific projects. These state-level efforts, in addition to establishing the relevance of GIS for development in a wide spectrum of areas, provide significant insight into successful applications, which are closer to citizens' needs and direct governance. In addition to these government agencies, many private-sector agencies have also been successful in implementing GIS solutions and in providing GIS services. "National GIS is a logical requirement—while e-Governance (e-Gov) is the current paradigm, the future is in embedding the GIS in governance and in establishing G (G signifying GIS-based)-Governance (G-Gov) as the next frontier. India is poised for developing GIS-based solutions as the next paradigm in governance. National GIS would also catalyze and transform the methods in which GIS is practiced in the country, the way maps/images as GIS-ready data get organized and the way customized GIS applications get created, managed, and deployed as unique GIS services. An institutional framework for National GIS is also a necessity, and evolving INGO [Indian National GIS Organization] must be a priority." The state of Karnataka determined to define state GIS in the context of National GIS implementation and to address the model of governance-enterprise-citizen. The prototype that the state then developed resulted from close examination of governance issues and citizen empowerment (see www.karunadu.gov.in/ksac/documents/K-GISVisionDraftVerWshop_Jan18.pdf and www.karunadu.gov.in/ksac/documents/KGisUserNeedsDraftWshop_Jan18.pdf). Once Karnataka had developed its strong state GIS model, it became a successful model for both state and national GIS implementation. 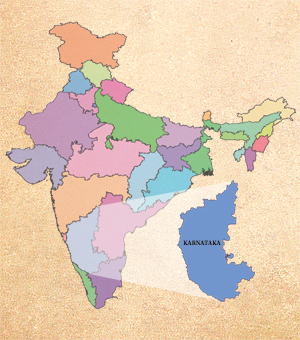 "The role of Karnataka GIS to the state's planning and development process is critical. Karnataka is committed to support a Karnataka GIS initiative to serve as an important tool to support governance and particularly to empower people of the state. 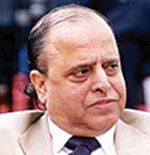 Karnataka GIS is an innovative knowledge initiative and has far-reaching implications to the state." The state GIS would easily dovetail with and link to National GIS, and both could benefit from a common GIS data content (thereby reducing data duplication and redundancy) but service different applications (founded on a GIS services model). Such an approach is seen as essential to meet the needs of central and state governance and thereby its citizens. Karnataka recognizes that GIS provides tangible benefits and that it is a key platform for the future of state governance. An institutionalized system that will ensure the availability and accessibility of GIS data and applications to different user groups and citizens is an important consideration in the vision of Karnataka's 21st century governance. With the vision for Karnataka GIS now defined, the result is a robust information and decision support system that upholds the decision-making process for planning and implementing various state developmental programs and also for empowering citizens in the state, apart from contributing common content and linking to National GIS. Thus, the Karnataka GIS is well-aligned with the vision of National GIS, ensuring seamless interoperability and cooperation between the states and national-level government. "Various Information Technology tools are being used for providing various citizen services and government programme outreach in Karnataka. Now, GIS will be yet another decision-support system that will bring benefit to the various departments of the state of Karnataka and citizens who seek the GIS data and services for their needs. The vision of Karnataka GIS has emerged after inclusive consultation and discussions amongst various department officials, industries, academia—thereby defining a statewide GIS ecosystem for growth and governance." 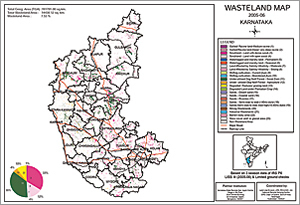 The Karnataka GIS visioning exercise, undertaken by the Karnataka Knowledge Commission's GIS Task Force, has resulted in focusing unique and innovative ways of implementing GIS. Apart from the vision definition, a comprehensive assessment of user needs, in terms of GIS data and applications for various state departments, citizens, and others, has been documented. A good matrix structure has been identified for implementation where multiple agency capability is integrated at the state level. The Indian government's vision is to create a new paradigm for governance and development with emphasis on inclusive growth and development—especially to reduce disparity, expedite development, and bring demographic dividends that will be unique. 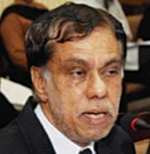 The vision of National GIS is aligned to enable a scientific mapping of resources, disparities, and needs to meet the aspirations of beneficiaries and society, especially the most disadvantaged; support sustainable and spatial planning; assist quick and reliable monitoring of plan implementation and status of development; enable transparent systems for inclusivity of society; and support real-time mapping of feedback and redress systems. "GIS is of great relevance for many government activities and enterprises and for citizen services. National GIS has the main aim of thrusting the use of GIS applications into governance/planning/development activities. While India has made some progress in using GIS, a national system of a GIS is very important and timely for the nation to adopt. 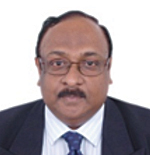 An organizational focus on GIS is important as an agile, rescoping organization—Indian National GIS Organization." The process of establishing and implementing the state and national vision will also provide considerable opportunities for the private sector to contribute to and be part of this national endeavor. The national and state GIS will also boost education and research in GIS with specific school, university, and research programs focused on training the leaders of tomorrow in spatial thinking concepts and the core principles of GIS. In today's rapidly changing world, India recognizes that nations that possess a sound and progressive GIS vision will lead and chart ways not only within their own borders but also across the international arena. India is gearing up to implement National GIS and make it fully operational. Concluding Note from Jack Dangermond: There is something for all GIS users to learn from this vision. It is sincerely hoped that what has been conceived as a national GIS platform to help bring growth, efficiency, transparency, equity, and inclusiveness to India will also serve as a useful model for other countries wishing to implement a national GIS.